The new LG G7, which features a notched design, came around six months after Apple's iPhone X, but the South Korean company nods in negative if you say it's a copied design. That's what the company's mobile chief Hwang Jeong-hwan said during a G7 ThinkQ showcase event in South Korea recently. He added the device's display might be similar to other smartphones, but comes with a completely different feature set. 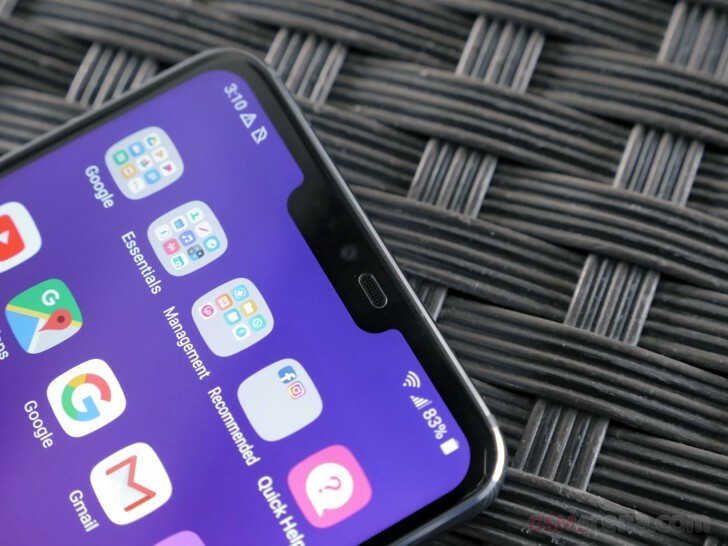 Hwang, in fact, said they don't even prefer it calling a notch (as it indicates something is missing). Instead, the company calls it a second display, suggesting there's more to show. On the G7 featuring an LCD display, the executive said: "It’s actually incorrect to say LG has returned to LCD because this is a part of our two-track strategy. The G lineup will stick to LCD while the V models will deploy OLED." Hwang also said missing features like Animoji support can be added later through updates, and will be available for the G7 and other models that follow. For the complete interview, head to the Source link below. The idea of notch came from the phone. It doesn't have camera but the signal and battery icon is by the left and right of the notch. We won't see until the next quarterly results whether the public at large doesn't like them or only phone enthusiasts of a particular inclination, that read GSM Arena don't like them.